This year, a couple of Y12 students, Yulia, Matthew and I, have re-started the Debate Club at our school for our Major CAS project. The club was originally founded by Mrs. Okada, a teacher who had left our school three years ago. The club was primarily focused on debating skills, but also trained us for a debate competition in April known as the World Scholars Cup. Calling it a debate competition is quite misleading, as the competition also includes other activities such as an essay and a multiple-choice test containing 120 questions, along with three rounds of debate. Thus, after three years, we once again set out to the World Scholars Cup. On day one, the first activity was team debates. We had two teams, one team comprising of Yi Qian and Emily from Year 7, and Dylan from Year 9. The other team was Julia and Tasha from Year 7, and Percival from Year 8. Both teams managed to win 2 debates out of three, a good result considering that this was their first time competing. In the afternoon however, was the essay and multiple-choice test. While generally less fun than the debates, these parts of the competition help make the students consider a wider range of ideas. This time, the theme was ‘An Entangled World’, and asked students to think about issues such as ‘The Science of Memory’ and ‘The History of Diplomacy’. This allows the competition to be both a fun experience while allowing students to learn new knowledge and broaden their perspectives. On day 2 was the Scholars Bowl, where all the teams sit in the auditorium, and use a clicker to answer the questions on the screen. It also is multiple choice, but the atmosphere is more fun, and is more intense as teams race against the clock to decide on what answer to choose. Ultimately, the day ended with the Awards Ceremony. Dylan won third place overall in the competition, while Tasha, Percival and Julia also won various medals for their outstanding performance. 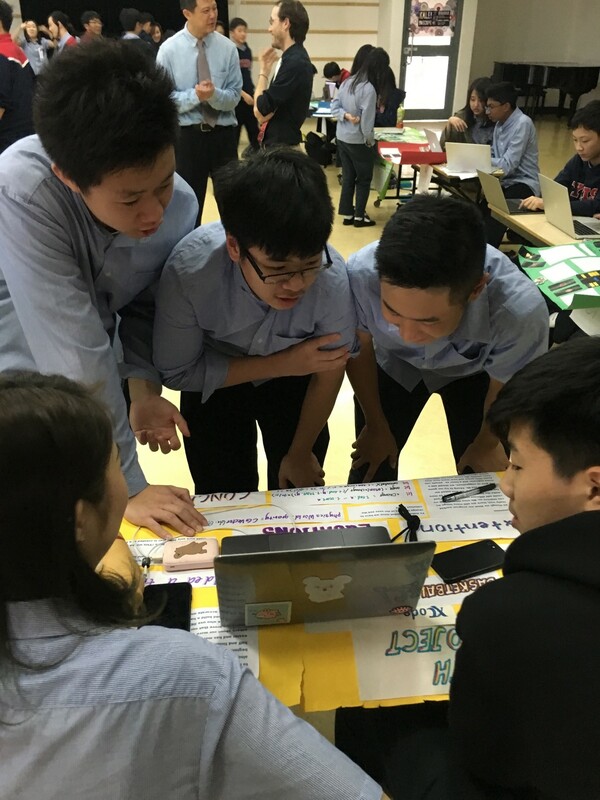 Lastly, both teams managed to pass the Shanghai Regional Round of the World Scholars Cup, and thus qualified to attend the Global Rounds of the WSC, which occurs on June 18-23 in Kuala Lumpur, Malaysia. Speaking on the behalf of my friends and fellow supervisors, I would just like to say that we are very proud of your amazing performance in the WSC. Having done the competition myself, I can attest that it can be quite challenging, and yet you all passed with flying colors. I hope to see you all attend the global rounds, and continue to succeed there. 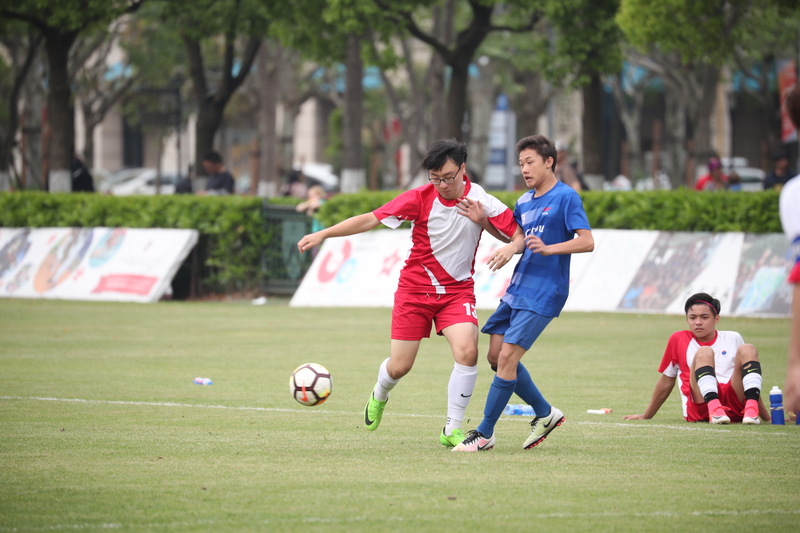 The Boys ACAMIS Football competition ended in heartbreak for the D1 team at Dulwich College Shanghai. 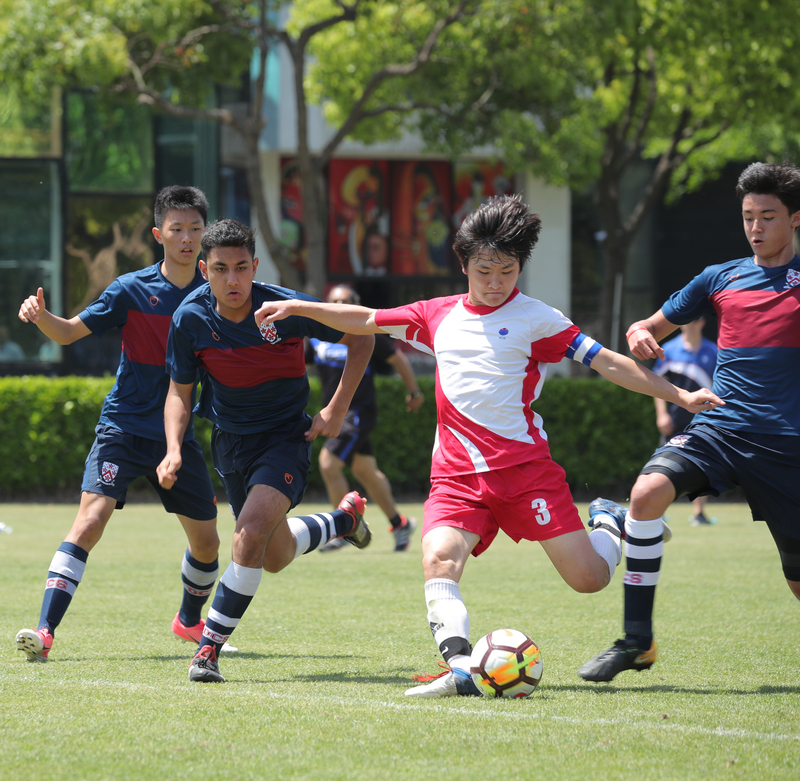 As with all ACAMIS core sports, the tournament starts with six teams playing each other in a round robin tournament before playing semi-finals on the final Saturday. Yew Chung started very strongly with the biggest result of the competition, a 9-1 win over the Australian International School, Hong Kong. This result showed how strong YCIS were going forward and particularly strong performances from Jin Hyuk Seo (5 goal) and Captain Tom Park (3 goals) gave the other teams a real concern. 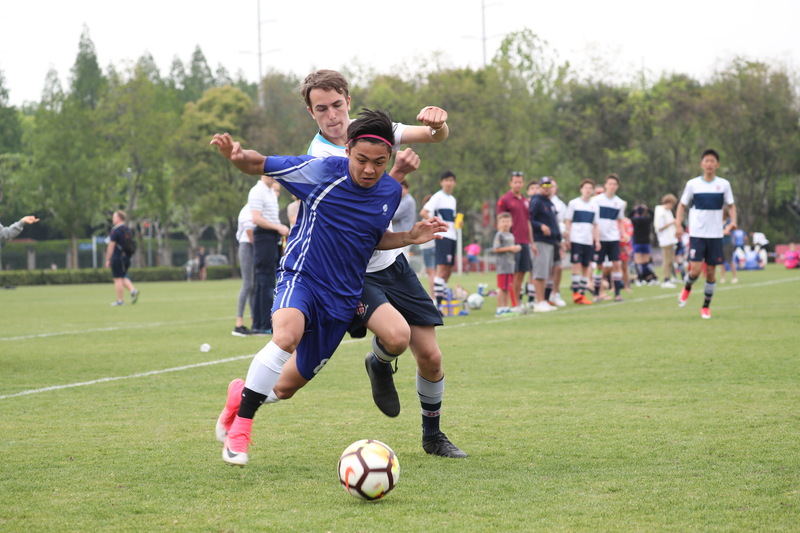 We also performed well in our second game against Dulwich College Beijing although with their numerous Year 13 students, DCB managed to sneak a win with two late goals. On the Friday, we new that a win against rivals Suzhou would all but guarantee our progression into the semi-finals. 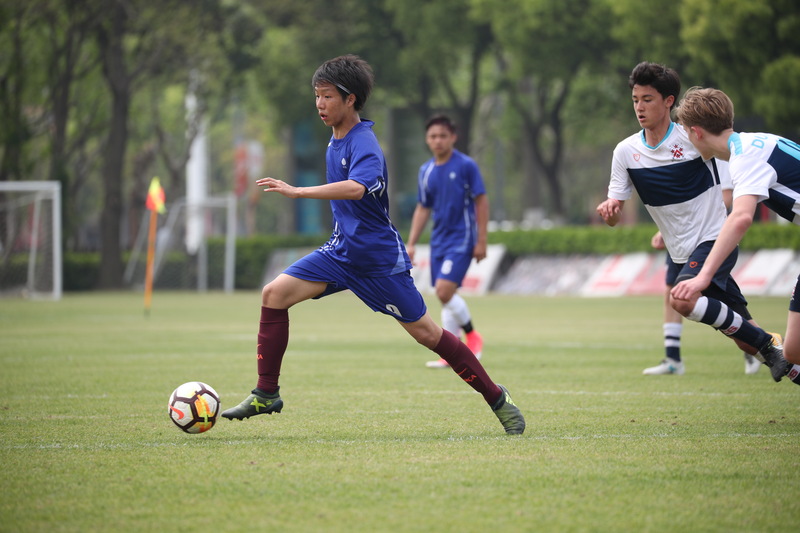 Suzhou has twice the number of students than YCIS and we hadn’t beaten them in 4 years but the team felt confident and after a terrific performance, we beat them 3-2. Vince Yonesu and Sean Xu were superb in defense and our young midfield players, Kaiyo Namai and Cho Kit Forest Yuen were superb along with our goalkeeping star Junyong Lee (Garfield) and of course Pedro Bothelho Trufem Braga. Corentin Bonnifait was also very assured on the ball in defence and it was a true complete performance from the young team. 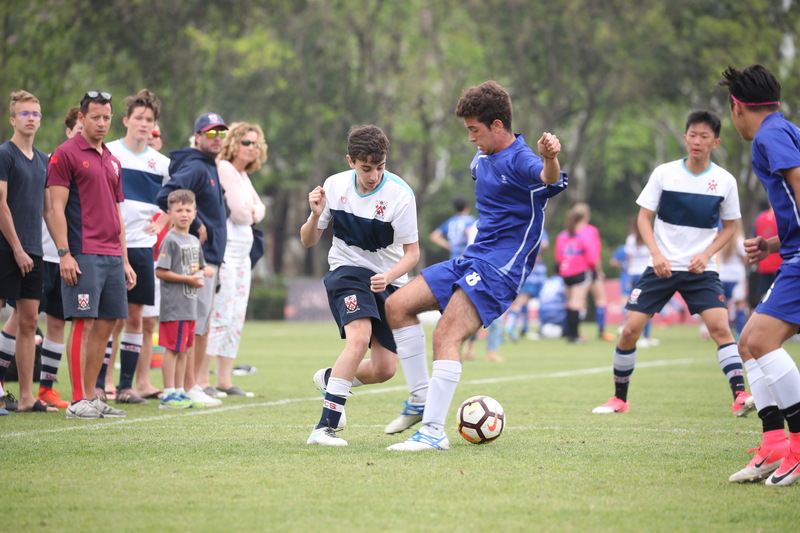 A very unlucky 1-0 loss to hosts Dulwich College Shanghai (DCS) and a classy win against International School Tianjin guaranteed us joint second place and a semi-final against DCS on the Saturday. The semi-finals were a very tense affair with the rough and physical DCS team smothering our striker Tom Park every time he received the ball. This made it very difficult to build attacks and whilst DCS rarely threatened our goal, we were unable to capitalise on the numerous free kicks we were receiving around the edge of the penalty box. The game entered extra time but after 60 minutes of football the teams could not be separated at 0-0 and the match went to penalties. Unfortunately, the lottery of penalties didn’t go our way and we had to settle for a third/fourth match against the other semi-final losers, Suzhou. This game played out more like a friendly game with both team fielding exhausted players and enjoying the occasion more than striving to take the 3rd place trophy. The game finished 2-2 with two outstanding Tom Park goals, one with an incredible flick from Forest in midfield. YCIS lost again on penalties although this young team can be very proud of it’s performances over the three days. In the final presentation ceremony, Tom Park took the ultimate team accolade although a number of other players were very close to this achievement including Vince Yonesu who won this title in our previous Touch Rugby, Volleyball and Basketball tournaments in an incredible year for Vince. I would like to thank all the players for working hard over the season and making it a pleasure to coach them. I very much look forward to next year when we will be a year more experienced and certainly practicing penalties as often as we can! Following some intensive workshops on using XCode and SWIFT programming, students were introduced to the process of app development. 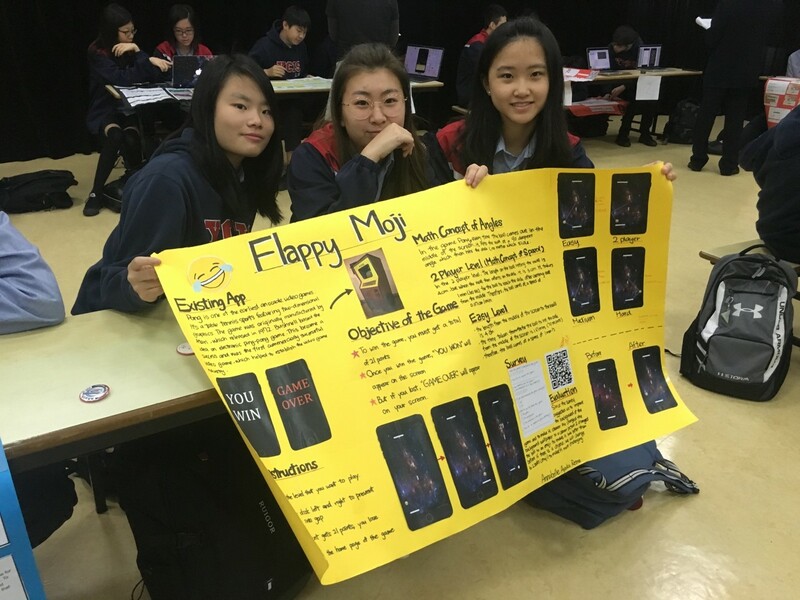 In small groups, students combined their knowledge of Physics, Mathematics and IT to generate their own apps, writing them using XCode and AppInventor and downloading them to their mobile phones. STEM projects involve the application of key concepts from Science, Technology, Engineering and Mathematics to building real-life solutions and products. 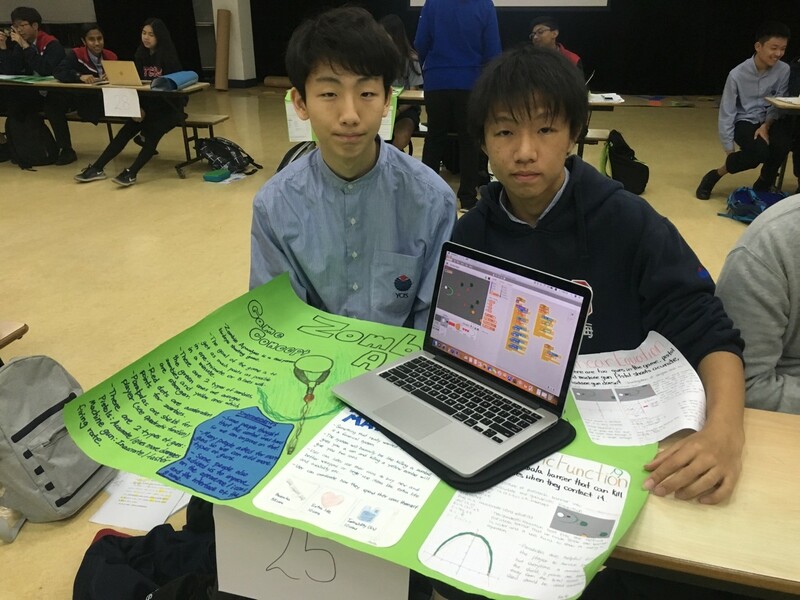 Students produced a wide variety of different apps, ranging from financial simulations to games involving calculating motion and collisions between objects. One of the key objectives of this year’s Mathematics Fair was to further develop student initiative. 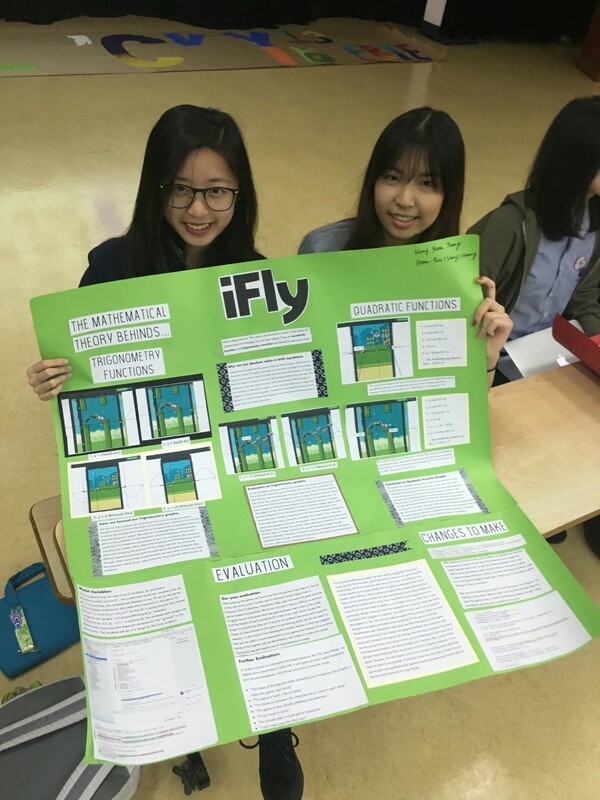 All the students demonstrated this skill through engaging in research of app design, game structure and learning to program using the SWIFT programming language. 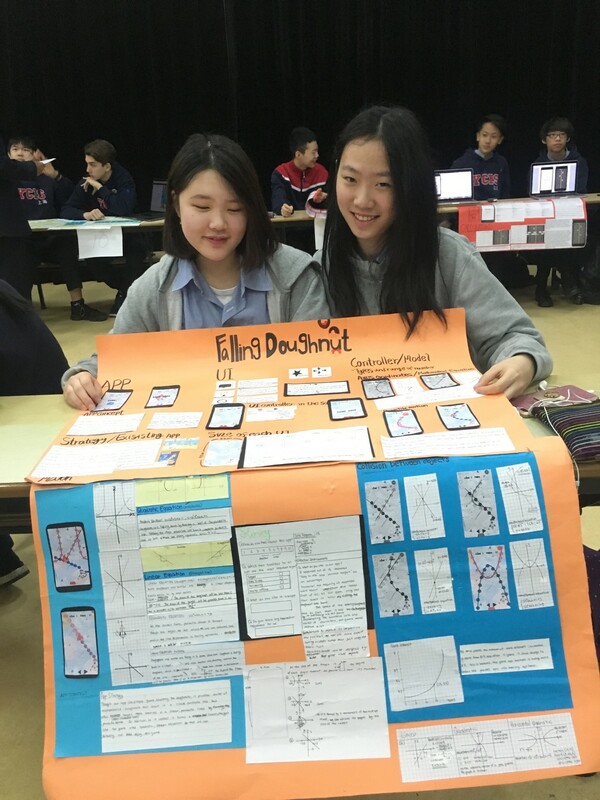 Congratulations to everyone in Year 10 for a very successful Mathematics Fair producing practical outcomes built around the application of Mathematics to real-life problems. 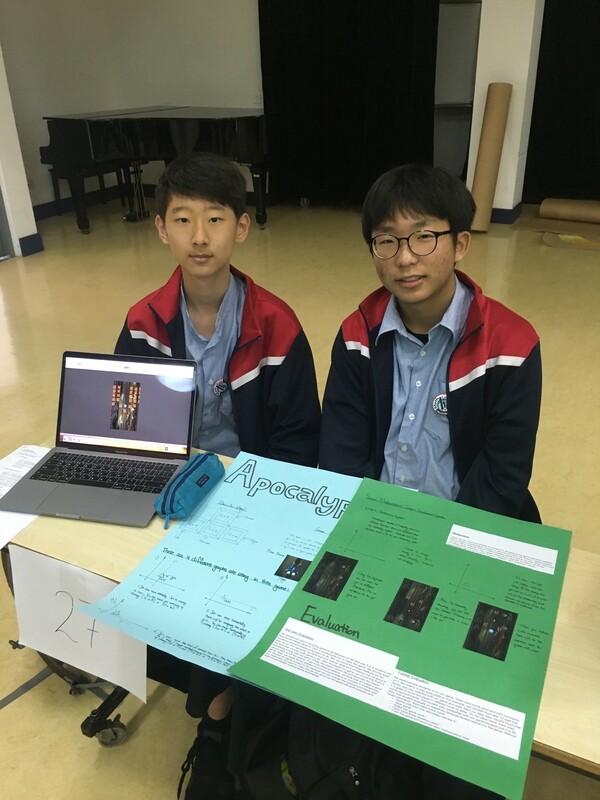 In Community period on the 19th April, the Year 7 Humanities classes shared the class work they have been doing using their iPad for research and page design. Their assignment brief was to make a ‘National Geographic’ magazine cover page that showed a feature of an ancient civilization they had studied. This was further explained in an audio commentary. It was great to see such a range in choice of topics and features that had caught the interest and imagination of our students. Students in this session had an opportunity to walk around the Hall and see the work of their peers and share their understandings from a variety of civilisations from the past. The session ended with a student vote on the best cover pages. The most voted were: Steven Cho 1st, Emmy Xu 2nd and Kehan Ji 3rd. 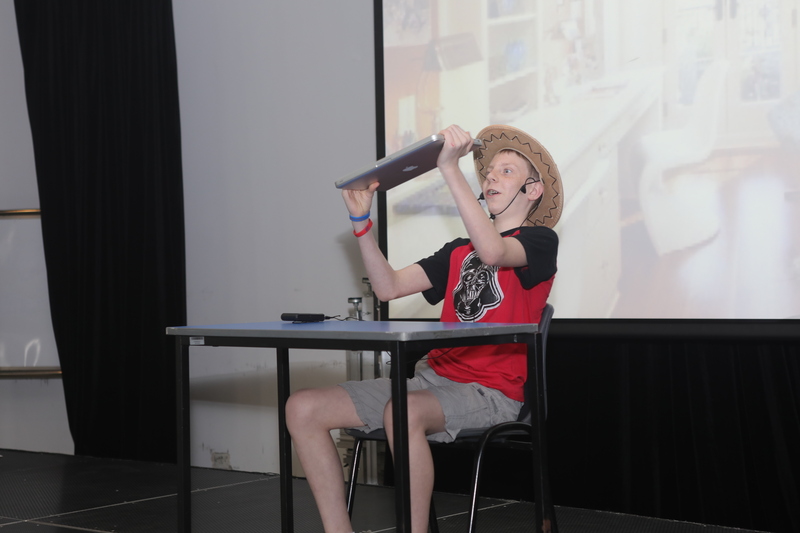 Last year 4 Year 12 student embarked on an advocacy challenge, Last week they presented their outcomes during 2 special assemblies and it had a great impact on students who sometimes find the service element of CAS difficult to achieve, the outcomes showed students that you can help in many ways, using your strengths and focusing on what is required. 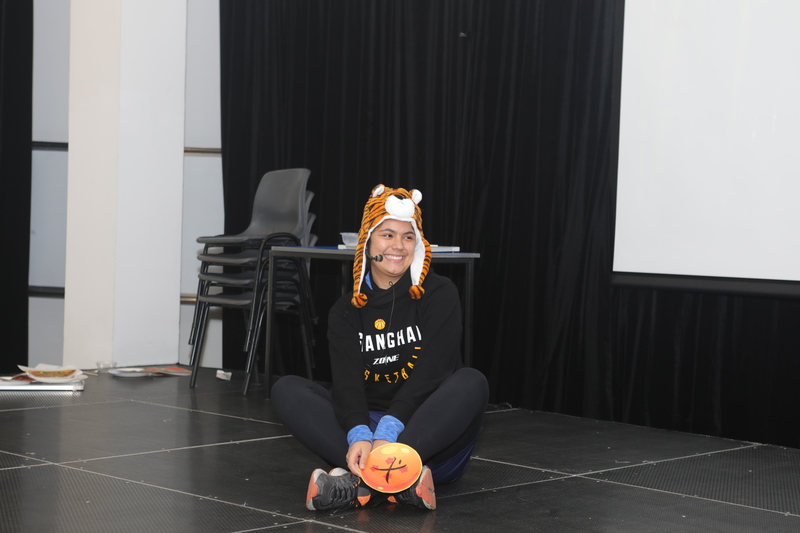 The students worked with an ex YCIS teacher who is now living in Singapore, Ms Yada Mak, she actively supports a charity in her birth place – Cambodia. She discovered Toun Community Center when visiting Siem Reap and felt the charity could benefit from support. I won’t say too much in this article as I would really like you to spend a moment looking at the following links. The center is not big enough to accept school trips but they are open to family visits so my current Year 12 student, Carol Hsu, is working on a travel guide to share with the community. If you think you would like to take a family trip to Siem Reap and take some time to take donations, play with the children at the center, followed by enjoying time at your hotel pool, eating delicious Khmer food and visiting the 2000 year old temples then watch this space for her guide soon! The international focus for Earth Day this year was plastic. 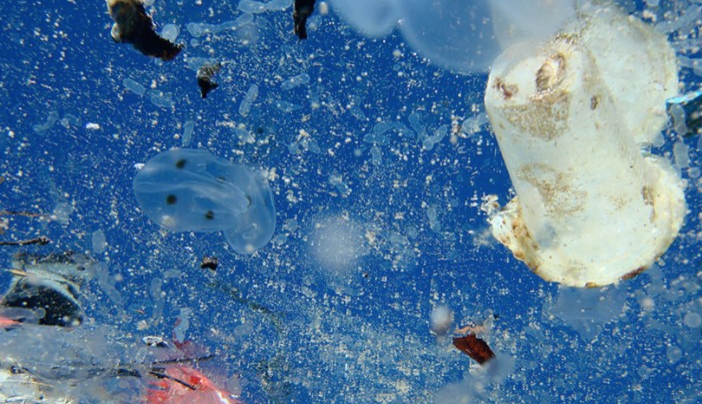 Waste is getting into our oceans and polluting the water that impacts upon sea life and ultimately human health. Some facts: Before the ban on ultra-thin plastic bags in 2008, China was using 3 billion bags a day, this had reduced by 2/3 (The Guardian). There were 700,000 tonnes of shopping plastic bags used in 2015, compared to a million tonnes in 2008 (business standards.com). These figures show the efforts the government are making in trying to reduce plastic waste. At YCIS our focus was more local about what we can do. The IB geography students made powerpoints to highlight environmental issues that were telecasted through the school tvs during Earth week. This was a focus in Community lessons for Y7s; Y9s and 10s were discussing ways they could individually make a difference and what we could do in our school and community. Many suggestions were made such as further promoting the use of re-usable drink bottles, cloth bags when shopping, and using recycling bins. For our athletes sports meeting on the 11th April, students are urged to bring their own re-useable water bottle to the day to avoid the plastic bottle waste. Every student who produces their recyclable bottle will be awarded 2 house points. Before we leave for the event, the Environmental Club will be selling YCIS re-useable bottles for 25 yuan [the exact price of a tree for the million trees project]. Please support the campaign to reduce plastic waste by bringing your own drinking bottle or purchasing one on sports day to re-use. If you have already voted for YCIS, we would like to thank you very much for your support. While we appreciate that our families may wish to participate, we would also like to inform you that YCIS Schools do not place value in this type of media exercise. YCIS schools collect meaningful and controlled quality data from our designed community surveys and other analytics. This information helps us develop quality target measures related to student learning and opportunities. 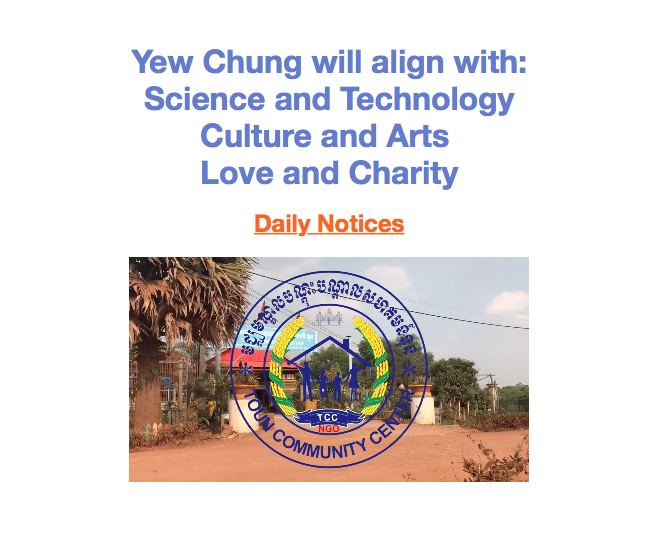 YCIS schools have in place qualitative measures of international school recognition with our accrediting authorities such as the Council of International Schools (CIS), the New England Association of Schools and Colleges (NEASC), and the National Centre for Curriculum and Textbook Development (NCCT). This is the type of data that enables a quality International School to identify school growth and development targets and appropriate planning. On Tuesday the 27th of March all year 7 students at YCIS Gubei campus got together and watched the CAL Chinese Roll Play Competition. It was a great experience to watch all the CAL classes’ performances and see all their creative ideas come to life. My class (CAL2) participated in this event as well. We performed ‘The Seagull-busters.’ My friend Mika and I wrote the script and made the taxi and other props you saw when our class performed. The actors that performed on stage were Brian, M.G., Jaeyoung, William, and Isaac. We were very excited and thrilled to find out we won! 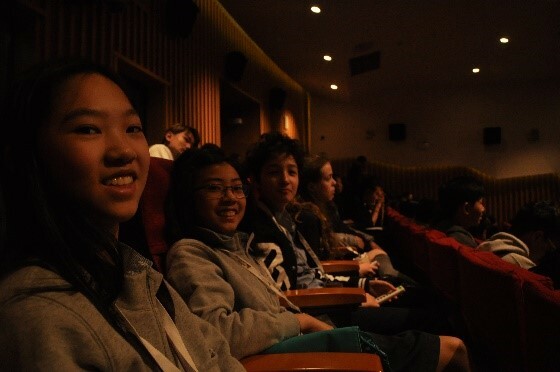 Mika, 李老师, and I were very proud of our classmates when they were on the stage and think they did a terrific job! Additionally, when watching the others participate I was very pleased. Some of the performances were very entertaining and some performances told a very nice story. I was very impressed with CAL4’s performance. Their performance formed around an old Chinese folktale. I also liked their performance because of their costume decisions. Overall, I think the Chinese Roll Play Competition was a really big success. It was fun, entertaining, and taught you a lot about the creativity that the students in YCIS have. 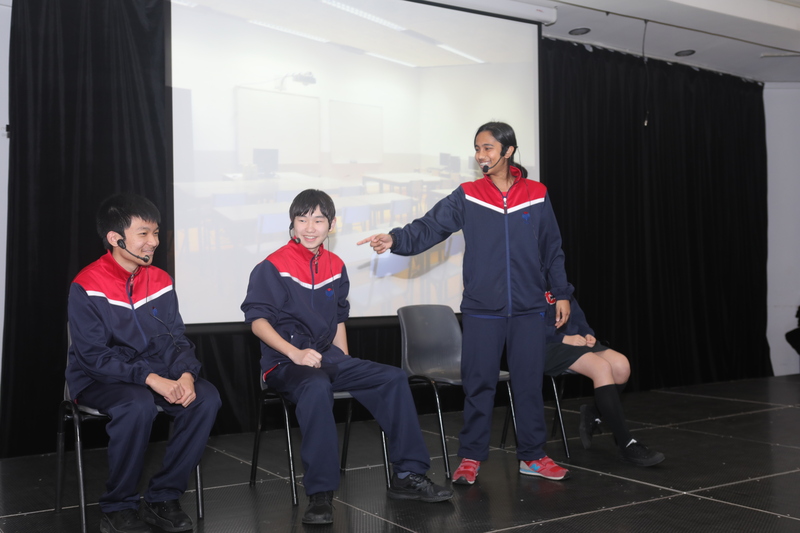 The Y9 Chinese Roleplay competition which consisted of each CAL class before level 6 took place today, the 28th of March 2017. The theme was Chinese folklore. The first group was CAL 4. A man who was born out of a peach (likely in reminiscence of the Chinese legend, [sūn wu kōng], portrayed by Semin Park, which describes the story of a monkey king who was born out of a peach), enters a singing competition, at first alone but ending up with two others and a thief. Together, the four manage to win the competition. There were certain moments sprinkled throughout the performance that made it overall entertaining and fun to watch. The group’s singing was especially entertaining to listen to. Their use of different props to evoke the image of an actual band playing was well used. Overall, it was a splendid and interesting performance, and it was no wonder that they were awarded first place. The next group up was CAL 5, which happens to be both of our class. There is a group of friends who are terrified of a monster that has been spoken and feared for generations, the Nian, who appears at the Lunar New Year only. However, there is one friend who does not believe in the Nian, and therefore is not scared. She does not flee with the rest of the group as they run to hide in the mountains. However, the Nian manages to capture her. The friends who are holed up in the mountains remember that she owes them money, and subsequently rush to go and rescue her. After rescuing their unwilling friend, they remember that the Nian is scared of red lanterns, red posters that are hung on the sides of the doors, and red costumes. And so, as the Nian attempts to eat the group, they are all equipped with one of the previously mentioned items, and the Nian who is unable to eat them due to their items, eventually falls off the mountains. As our class is the highest among the performing groups, the Chinese literacy level used was the highest and perhaps pronounced the most accurate. The Nian, portrayed by Gabriel Banks, provided a fun performance for everyone to enjoy. The unbelieving friend, portrayed by Ketmie Bonnifait, provided a convincing act for the delight of all. It is no wonder that she managed to win the Best Actress award. The class both managed to provide a funny and entertaining roleplay, and also managed to stick with the theme of Chinese folklore perhaps the most. The following group was CAL 1 & 2. There are four brothers. Upon their father’s death, the eldest inherits all his wealth and possessions. While another brother sides with him, two others do not, which leads to a halfway split between the family. The duo of brothers that did not inherit their father’s wealth beg for some money and possessions from the other two, but are refused. And so the two live a poor but honest life while the two with the money live a luxurious but selfish life. One day, the poorer two of the family encounter an injured bird. They bring it to a veterinarian to be healed. After the bird is healed, the brothers receive a strange plant that, upon opening it, provides them with many riches and luxuries. The next day, when the two brothers that have inherited the wealth encounter the same bird, they shoot it dead. The bird becomes a monster, and takes away their wealth and luxuries. While this CAL may have the lowest Chinese proficiency among the whole year level, they still managed to provide a compelling and interesting story. The performance managed to provide a clear message to all: eventually, karma would catch up to all. The last performing group was CAL 3. A group of four friends are complaining about their current life, and a man overhears. He brings the four to a shop, where they drink a special form of fluid. They are all transported to a world where they do not have the complaints that they had been complaining about. One gets an iphone X, while another is twenty years old, etc. However, they do not like their new lives, and re-meet up with the man who had given them these lifestyles to beg to get their previous lives back. The man is surprised, but grants their wish either way. They drink another special liquid, and are brought back to their own lives. Their memories get erased, but not their determination to fix their current life and stop complaining. Their performance provided an intriguing plot, and teaches one to appreciate the current life that you have. Overall, all classes provided a splendid and spectacular performance that everyone enjoyed. On Monday 26 of February, CAL 2 and 3 presented different role plays to the rest of Y10s. In my class, we were separated into two small groups of 5. We were given time in our small groups to plan and draft our plays, we rehearsed during lessons time and had to learn the lines by heart as homework’s. In our groups, we came up with the props needed. The time to present our work came fast. I think that all of us had once felt the discomfort of stage fright. But we all stepped up and performed. Everything went smoothly. It was interesting to be able to watch what the other groups came up with. At the end of the competition, everyone was happy to be finished. There were prizes for the best play and actors. When they received their awards, the performers were proud of their accomplishment. Organising role plays every year is a chance for students to make new friends and to improve their speaking skills in a playful atmosphere. We get to learn and use new vocabularies. I think that it is good to perform in front of an audience whose Chinese level is higher so that we can get back constructive feedback and work on them for the next performances to come. 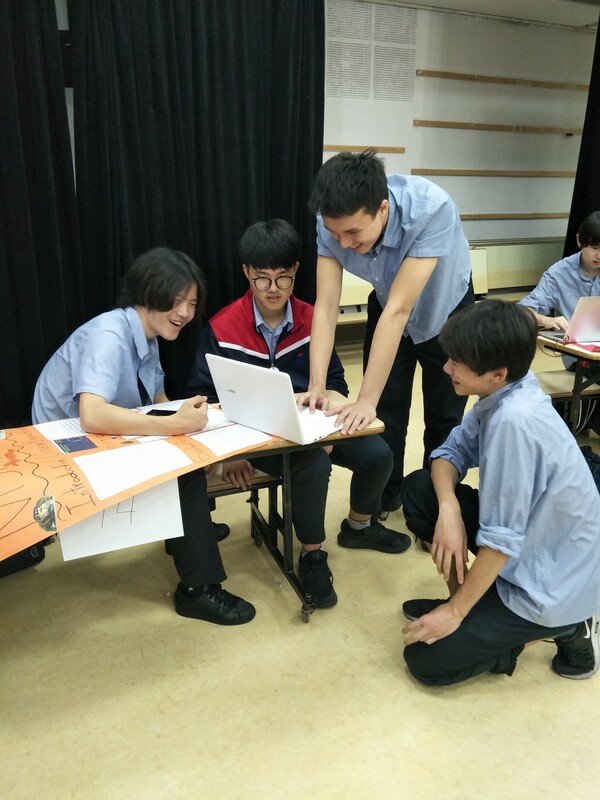 As a part of language study, the annual Chinese Role Play Competition is very popular among the CAL (Chinese as an Additional Language) students of secondary school. 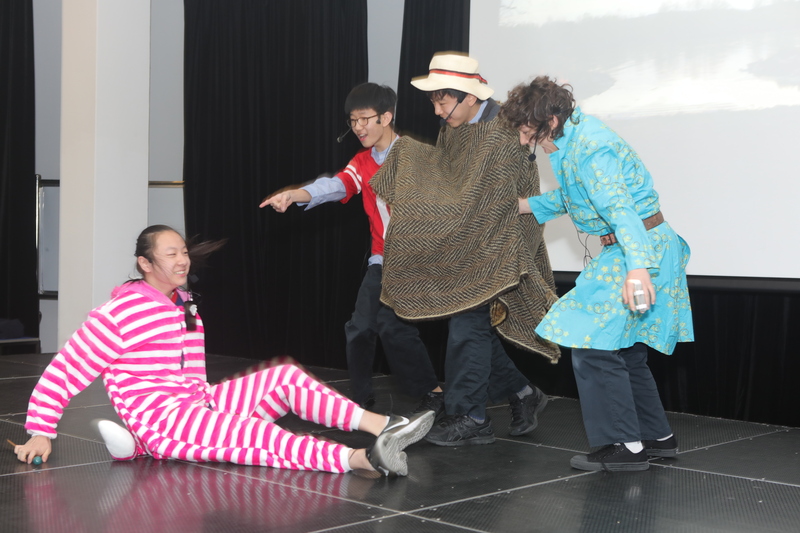 At Community Period time on 22 March, 26 March, 27 March and 28 March our 4 Chinese Role Play Competitions successfully came to an end as scheduled, running in the hall of Gubei Campus. The winners are as below. 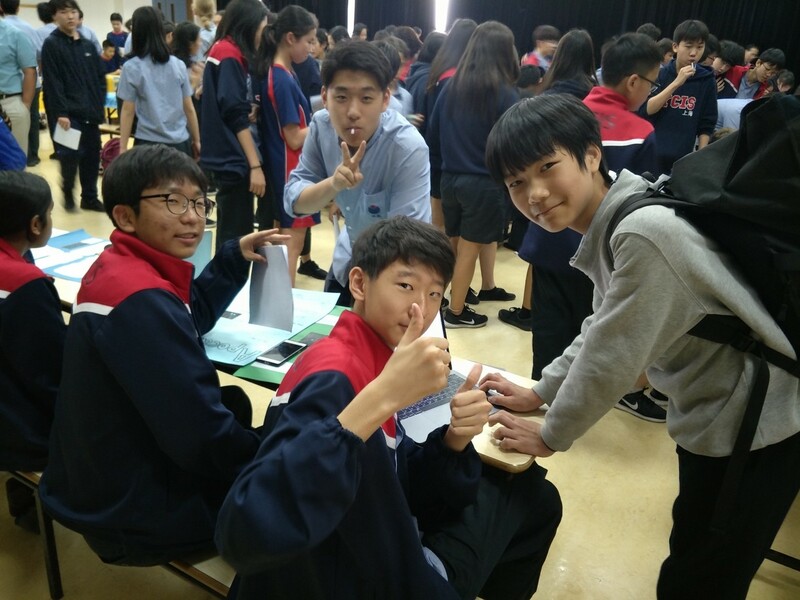 During the past few weeks, the CFL students in years 7-9 and CAL-6 and above took part in the Chinese Speech Competition. All of the students prepared a speech written by themselves to present to their class, who took a vote and the person with the highest vote made their way to the finals. Last Thursday, on the 15th of March, all students who participated in this event gathered in the hall to hear the finalists’ speeches. The finalists all did very well, and in the end the winner was chosen. Following the speeches, a debate presented by the Y10 CFL debate finalists took place. 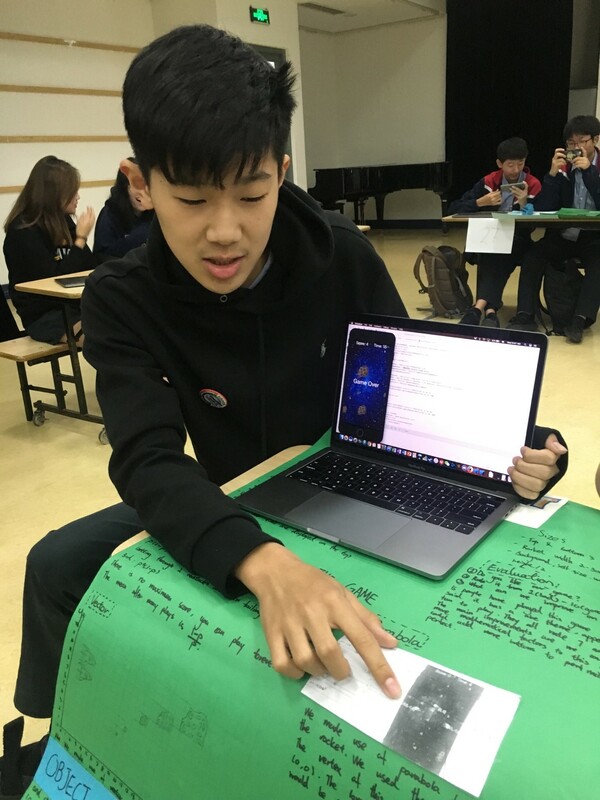 This speech and debate competition not only gave students an opportunity to speak in front of their class, their grade, even the lower secondary, the competition was a way to improve their writing, listening, and speaking skills in a fun way. 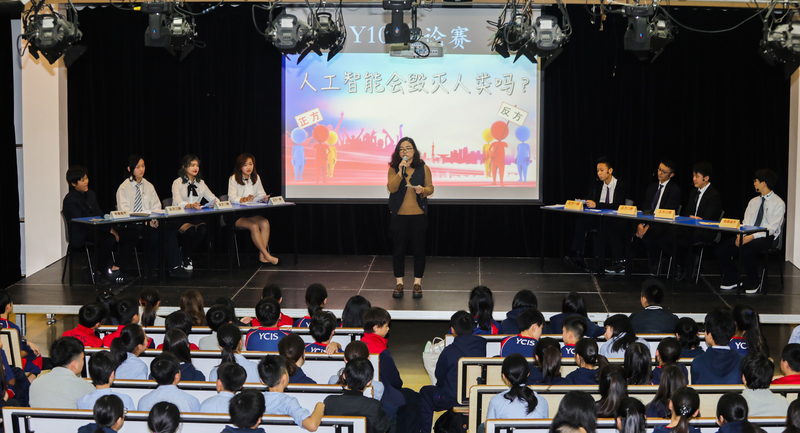 Last Thursday, the 15th of March, our school held a Chinese speech competition, where students looking to prove their linguistic skills either presented a story or debated against other students. As you can probably guess, a very important part of this year’s speech competition were the speeches. These ranged from heartwarming tales about special places to stories about relatives who have died that make you want to cry, to hilarious stories about what it means to be cool. All of these stories were incredibly enjoyable, but some really stood out. My personal favourite was a speech about raising a dog. However, despite the outstanding quality of these speeches, I still feel that even more spectacular was the debate by the year tens. They were debating about whether or nor artificial intelligence would cause the downfall of humanity. This year’s verbal battle was incredibly interesting, and incredibly intense as well. Every point was quickly opposed by the opposing team. They had obviously all done incredibly in-depth research, as almost every point and rebuttal had a quote to back it up. So powerful were their arguments, that I left the hall thoroughly convinced that Siri was going to destroy everything I stand for, and equally convinced that Siri wouldn’t hurt a fly. All in all, this year’s speech competition was one of the most interesting two hours I have had in a long time, and I eagerly await next year speech competition, which I hope will be even better.